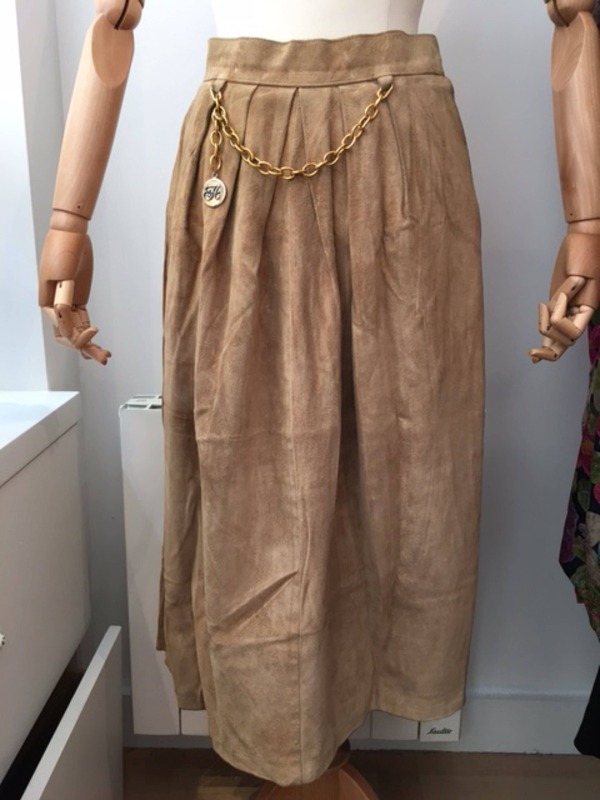 Skirt Hermes skin buff with a chain on the front decoration. 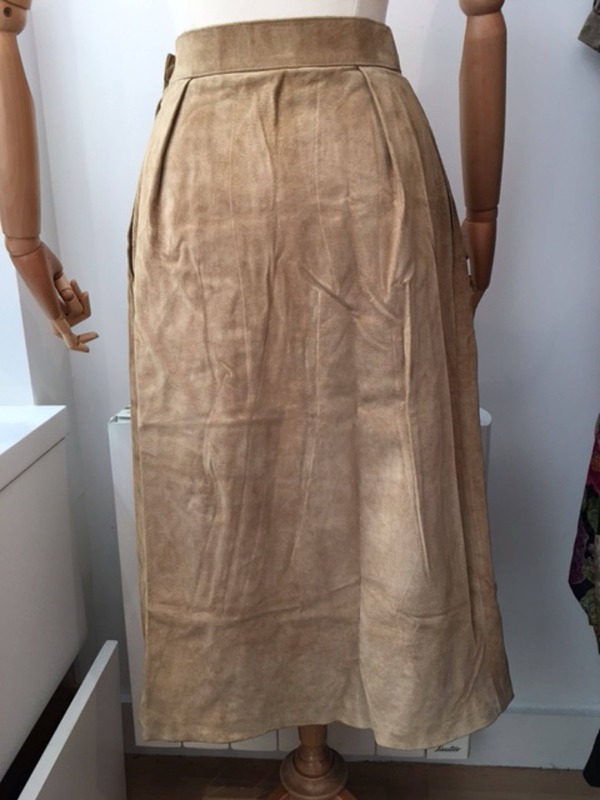 The skirt is lined and closes on the side. It has two side pockets and is about mid-calf length. 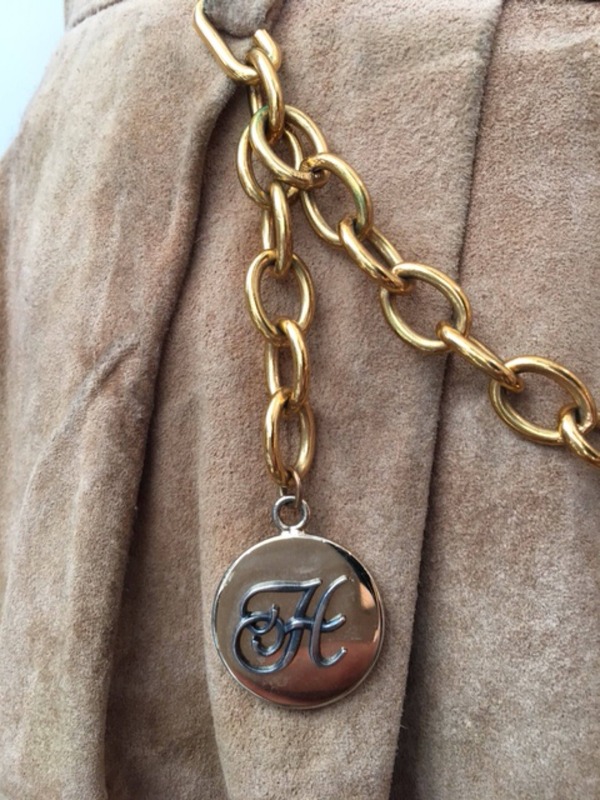 This piece is in good condition and is better suited to a 38 though it is noted 40.